The Jackal is one of these epic skins. It consists of three pieces of gear and costs 750 Battle Currency, or as the community lovingly calls it, 750 Boin. Boin can be purchased in packs of anywhere from 500 for £4 to 6,000 for £40, but not 750. Players save a little bit per Boin the bigger the pack but the most popular one currently is the 1,050 pack which costs £8. 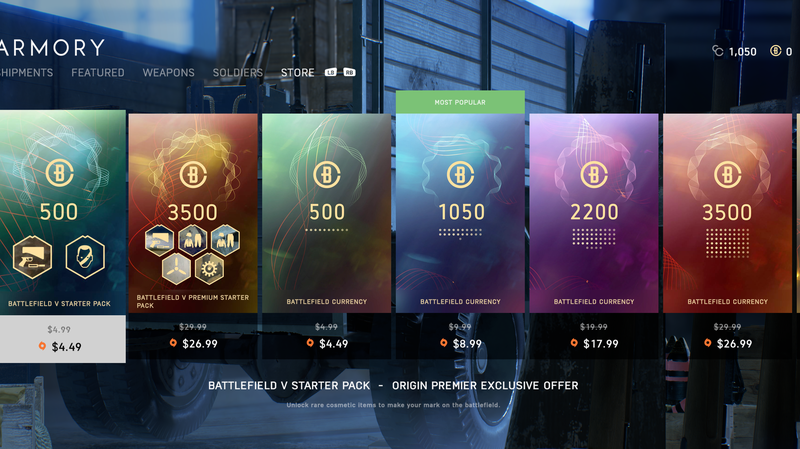 In other words, to buy those epic skins, people are overpaying. Rare cosmetics, like the MP28's chromed finish, can be purchased for either 400 Boin or the same 13,200 Company Coin as before. 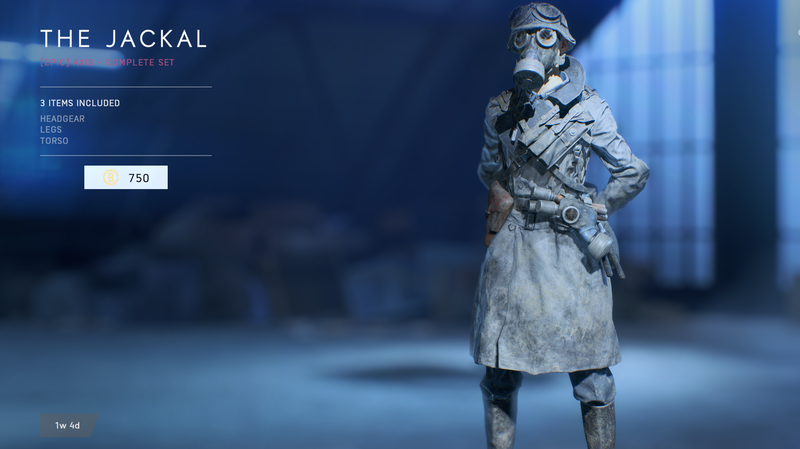 While this is cheaper than what epic skins cost in games like Fortnite and Apex Legends, it still feels like a lot for some drab WWII clothes. 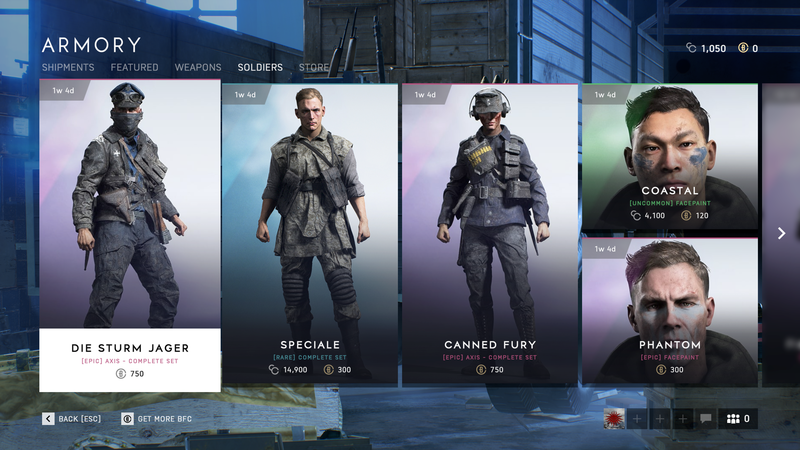 Some Battlefield V players on the game’s subreddit have also been making fun of the Jackal costume in particular for including not one but two gas masks and subsequent sets of goggles, as well as a third pair of goggles wrapped around the helmet. 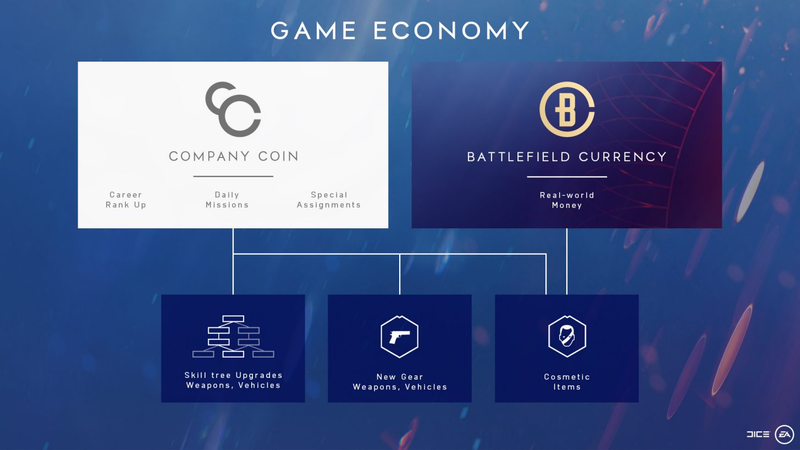 The bigger issue for some remains that players don’t have the option of buying it with the in-game currency they’ve already collected.